The presentations take place after the celebration of the scrutinies. The Church entrusts to the Elects the Creed and the Lord’s Prayer which are ancient texts that have always been regarded as expressing the heart of the Church’s faith and prayer. These texts are presented in order to enlighten the elect. The first presentation to the elect is the presentation of the Creed, during the week following the first scrutiny. The elect are to commit the Creed to memory and they will recite it publicly prior to professing their faith in accordance with that Creed on the day of their baptism. The second presentation to the elect is the presentation of the Lord’s Prayer, during the week following the third scrutiny. The Lord’s Prayer fills them with a deeper realization of the new spirit of adoption by which they will call God their Father, especially in the midst of the eucharistic assembly. Those who will receive the sacraments of initiation at the Easter Vigil are to be advised to refrain on Holy Saturday from their usual activities, engage in prayer and reflection, and if possible, to fast. The preparation rites should assist this process of prayer and reflection. On Easter Vigil and Easter Sunday, all of us will look forward to the sprinkling of the holy water as we renew our baptismal promises. 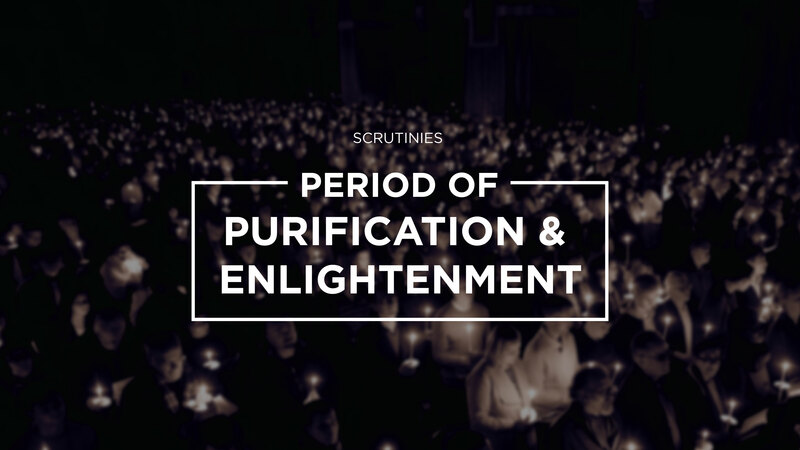 Let this period be a reminder not only for our Elects but for us as well about renewing our baptism promises, the purification of sin and enlightenment we obtain from the sacraments, and the joy we have in receiving Christ in our lives. Let us continue to keep our elects in prayer in the upcoming weeks as they continue to prepare themselves to receive the sacraments on Easter. See Rite of Christian Initiation of Adults, prepared by the International Commission on English in the Liturgy and the Bishops' Committee on the Liturgy, the National Conference of Catholic Bishops, no. 141. See Rite of Christian Initiation of Adults, prepared by the International Commission on English in the Liturgy and the Bishops' Committee on the Liturgy, the National Conference of Catholic Bishops, no. 143. See Agnoli, F. The Catholic Messenger, 2014, http://www.catholicmessenger.net/2014/03/the-scrutinies-today/, (accessed 27 March 2019). See Rite of Christian Initiation of Adults, prepared by the International Commission on English in the Liturgy and the Bishops' Committee on the Liturgy, the National Conference of Catholic Bishops, no. 185.